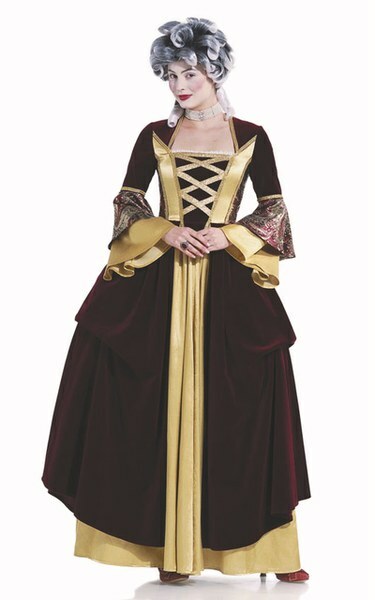 Elaborate, tight-fitting dress with typical fashion details from the Rococo era, with a choice of noble velvet dress A or rather fanciful dress B. 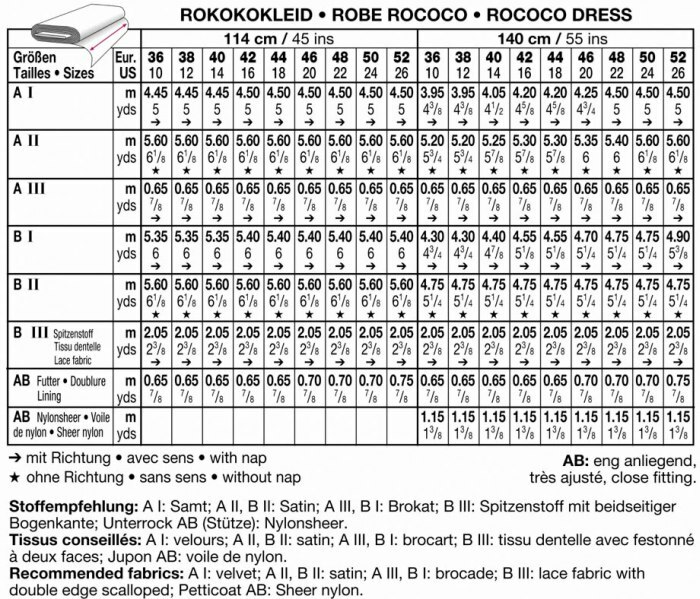 The true-to-style wide hips are padded out with a special petticoat. Both dresses are ideal for historical festivals or costume theme events.